The Criminal Investigations Division is dedicated to investigating felony and misdemeanor crimes that occur within Cherokee County and apprehending the perpetrators. Over 2,200 criminal cases and more than 650 DFCS referrals were assigned for investigation last year. If you are a victim of a crime and have a question about your case, please contact the Criminal Investigation Division at 770-928-0239. Incident reports are reviewed and cases requiring follow-up are assigned to a Detective or Investigator. The investigator will then contact the crime victim and conduct the appropriate follow-up investigation. This agency works with all local, state, and federal agencies, using every available resource to solve the crime. 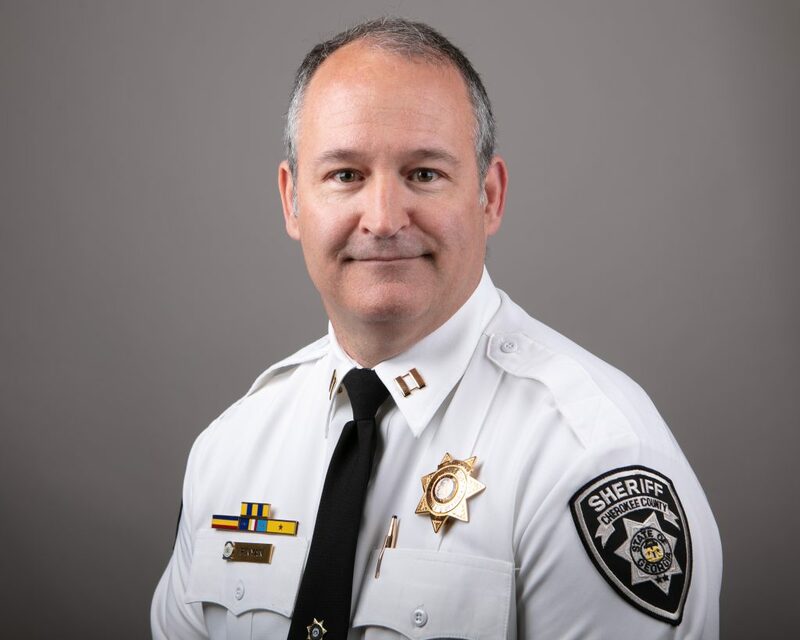 Once a felony case is solved and an arrest is made, the case is sent to the Cherokee County District Attorney’s Office for prosecution in the Cherokee County Superior Court System. Misdemeanor cases are referred to the Cherokee County Solicitors office and State Court for prosecution. The Sheriff’s Office Victim Advocate Unit provides a 24-hour on-call response for the needs of crime victims. This immediate crisis intervention service is then followed by ongoing support and advocacy throughout the investigation and prosecution of the case. If you would like to provide a Tip, please call the Criminal Investigations Division at 770-928-0239.